In May of 2008, I took a 900 mile dual-sport motorcycle trip through SE Oregon and NW Nevada. The apex of the trip was the Black Rock Playa in Nevada. However, before I was able to complete the trip, I ran into a severe weather change (80 to 42 degrees in an hour) and had to head for shelter. Since this was my fourth time down into this area, my wife (Rose)and I decided to take a driving and hiking vacation into the same area. All total, we drove 2000 miles round trip from Seattle, of which about 400 was off-road. Believe it or not, Suburu Outbacks really do well off-road (though they could use some better dust infiltration control). This is really an amazing area of the country. Incredibly remote and incredibly scenic. 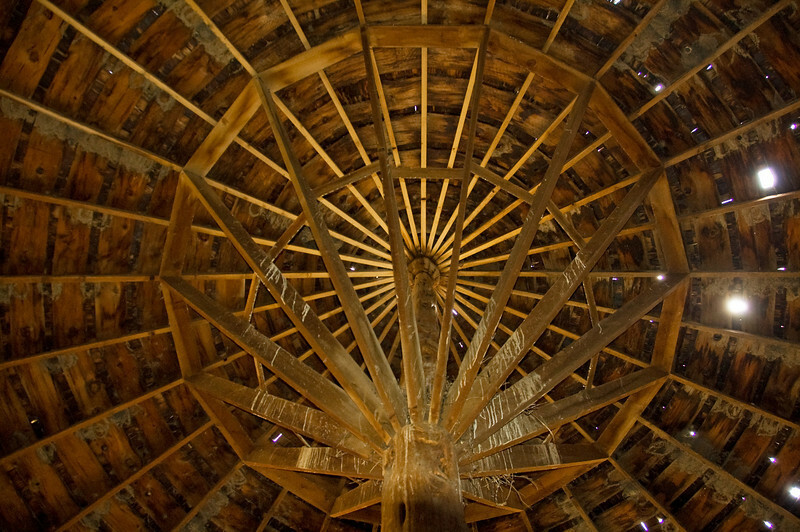 The elaborate interior construction of the round barn.